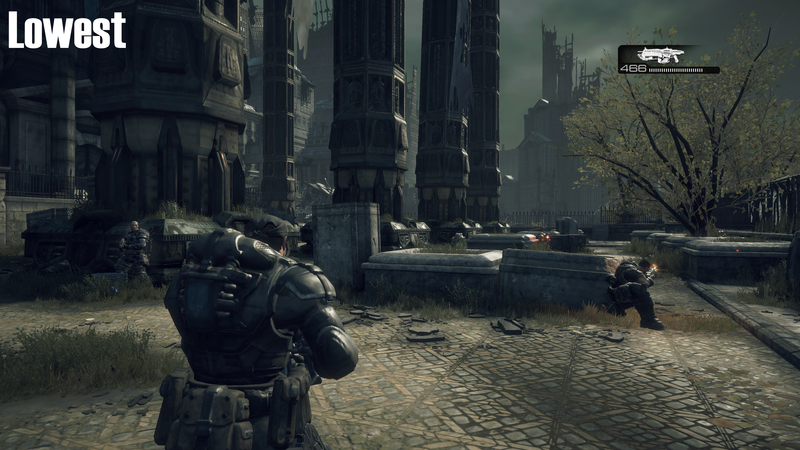 In this 5th set of screenshots we can see no changes to the general trend with the only real change in the graphical quality coming in the form of higher resolution textures and shadows, a few extra shadows from soldiers and and the addition of Ambient Occlusion at high. 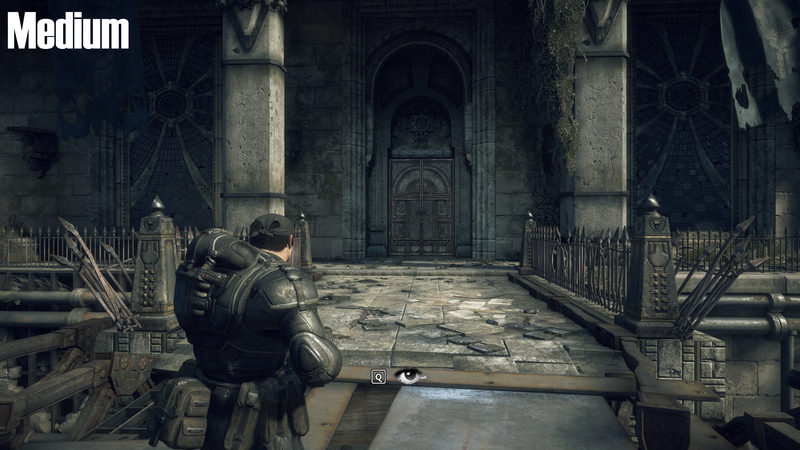 Here we can see that not much else changes, be it model, environmental details or the level of detail of distant objects. At this point nothing really needs to be said about the changes in the games graphical quality, the textures change and shadows get more refined, nothing else of note happens apart from the addition of Ambient Occlusion in the final screenshot. 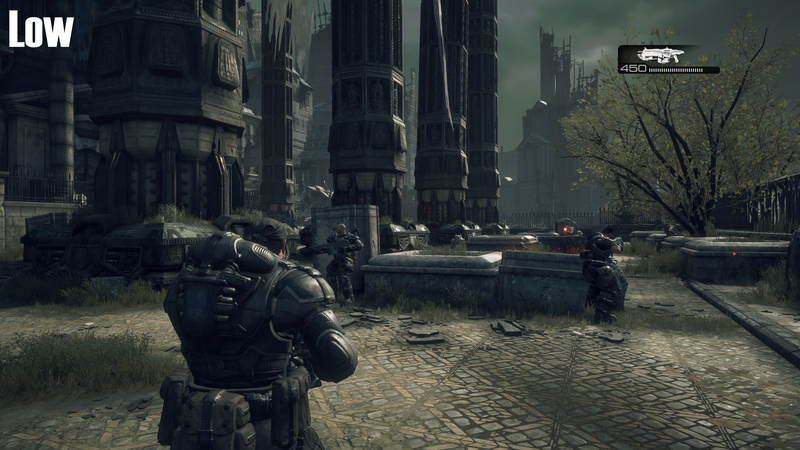 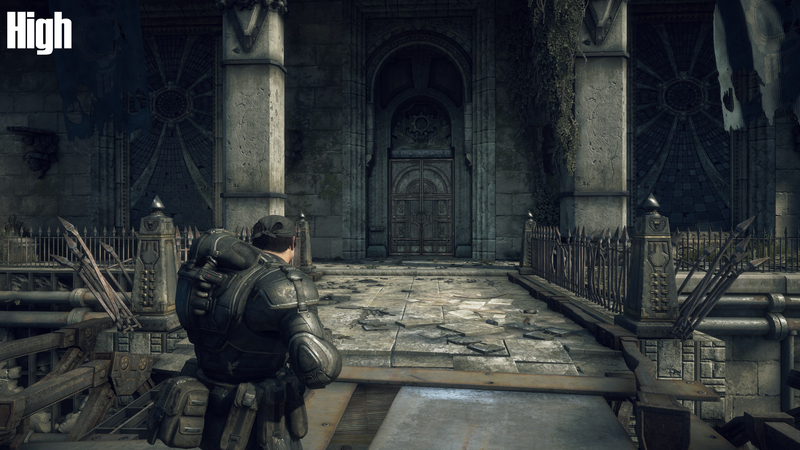 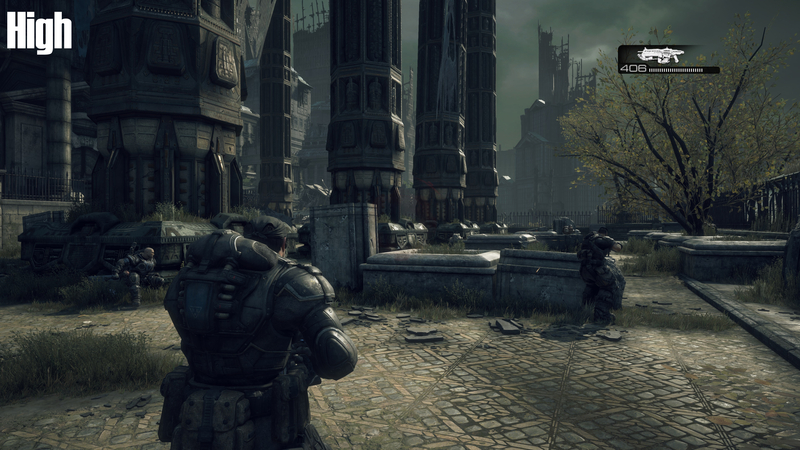 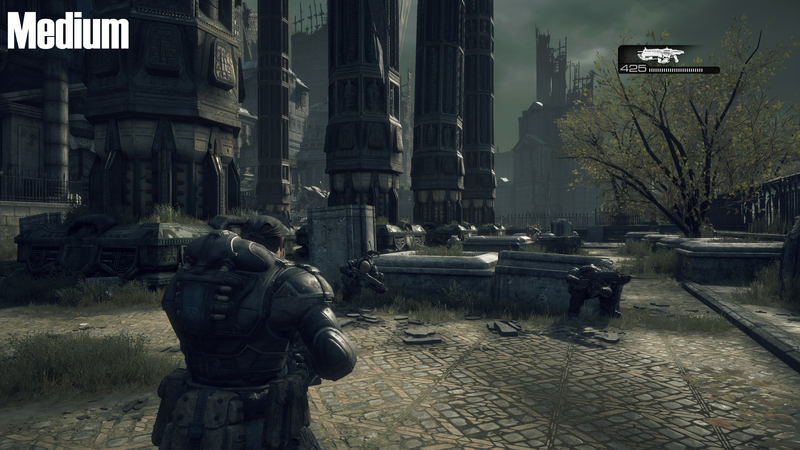 Usually in games you can see a lot change when moving up the settings, but all Gear of War Really does is dress the world up with better textures, which while it does a lot to improve the detail of the scene it is not anything complex. 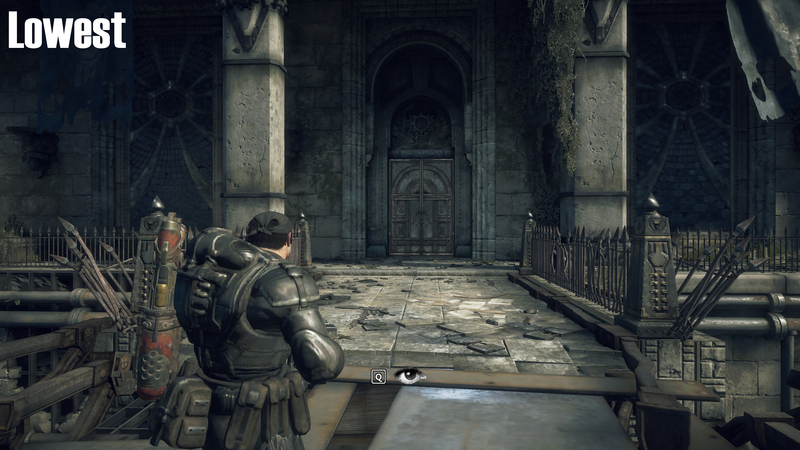 Most modern games can keep the detail of close textures high and lower the resolution of the furthest away objects, but gears takes the more simplistic everything or nothing approach to things by simply turning everything down regardless of distance from the camera.